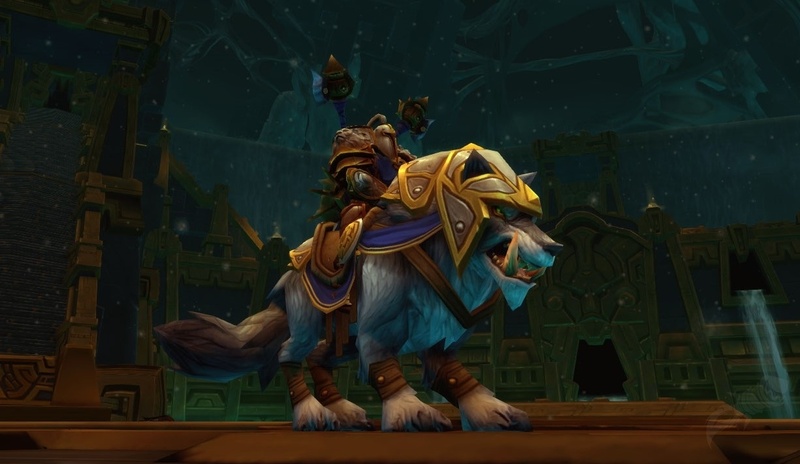 This week my Alliance guild is planning on attempting the Glory of the Uldir Raider meta-achievements. Unfortunately, no one in the guild has the Puzzle Box of Yogg-Saron for the What's in the Box? meta. 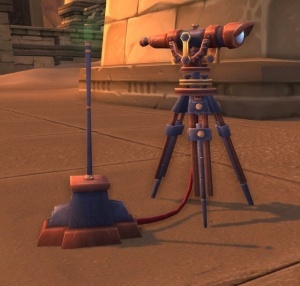 So last night, while the guild was raiding, I attempted to find this toy, here is what I learned. Look at the world/ zone big map, click on the magnifying glass on top corner and select the checkbox for "Show Dig sites". (there is a similar 'track dig sites on the mini-map you might need to enable). Scan map, there should be a number of little shovels appearing on the map. Fly to the one closest to you. When you are close, the mini-map will display a zone (like quest zone) for archaeology finds. From the professions window (P), click the survey button. I suggest moving this to your button bar for quick access. Run in the direction of the spotting scope, repeating the survey and run, until a glowing shovel appears above your characters head. Survey spots were typically on little mounds, or where no angry mobs were. When glowing shovel appears, click survey again to uncover the item. Repeat 5-8 until the dig site has been exhausted of all fragments. For more info, this guide is very useful. Archaeology pre-wod required leveling your skill for that specific area. If you want to look for items in Northrend, your archaeology skill will need to be 350 before you even see dig sites on your map. During the Warlords expansion, archaeology got a revamp. Dig sites are visible at archaeology skill level 1 in Draenor, Broken Isles/Argus and Kul Tiras/Zan'dalar zones. The dig sites shrunk to roughly 1/3 of their size, but There are more fragments to be found in each dig site. They are typically in zones with little to no enemy mobs. It appears the 'order' of your finds is completely random. You will likely need to go through a number of grey "normal" items before a rare item (like the puzzle box). Restored Artifacts are a currency for items. DON'T get rid of them. Upon reaching level 600 archaeology you can buy a crate of nerubian archaeology fragments to partially complete a relic. After spending too much time flying around Northrend looking for dig sites on my alliance toon, I finally flipped over to my horde warlock to work on this. He played through the zone completely AND had some skill points already for archaeology. At 250, I could have either flew around Kalimdor OR skip to WOD -> BFA, which has no entry-level skill requirements. I chose BFA simply because it is the current content. Thinking back, I should have gone to Legion zones and leveled from 250-350 there. In Legion, my toon could have flown between dig sites instead of relying on taxi's and the flight master's whistle. I completed dig sites (taxi, run, whistle) and restored artifacts until reaching 350. I went from Borean Tundra, up to Icecrown to complete a Vrykul site, back down to Dragonblight to complete a night elf site, then Talramas respawned (1AM local time). During the 3 hours I played, I managed to get 2 pristine items, including the pristine (which result in something in my Zan'dalar viewing room, plus 2 'rare' completions which resulted in a toy and a BOA ilevel 300 weapon. Reading the comments on wowhead, there may be Nerubian dig sites in Kalimdor? There are at least 2 people reporting sites in Easter Plaguelands. They appear to spawn around the floating necropolises, so the DK starting area could make sense. Too bad the fragments are soulbound, my paladin could use his class hall exit to get there easily! At least as a horde, I can take the portal to.. oh, destroyed Undercity? If you have a decent amount gold, you could 'cheat' the system a little and buy Nerubian Obelisk off the AH. These equate to 12 fragments and look to sell for about 1,800 gold. Considering you need between about 600 fragments to complete all the nerubian relics, it could be helpful (or just wait until they drop normally). I suggest running with an add-on as it made some things very obvious. I used "Minimal Archaeology" (as the fan-favorite "Archy" appears to still be outdated). Minimal does a nice job. 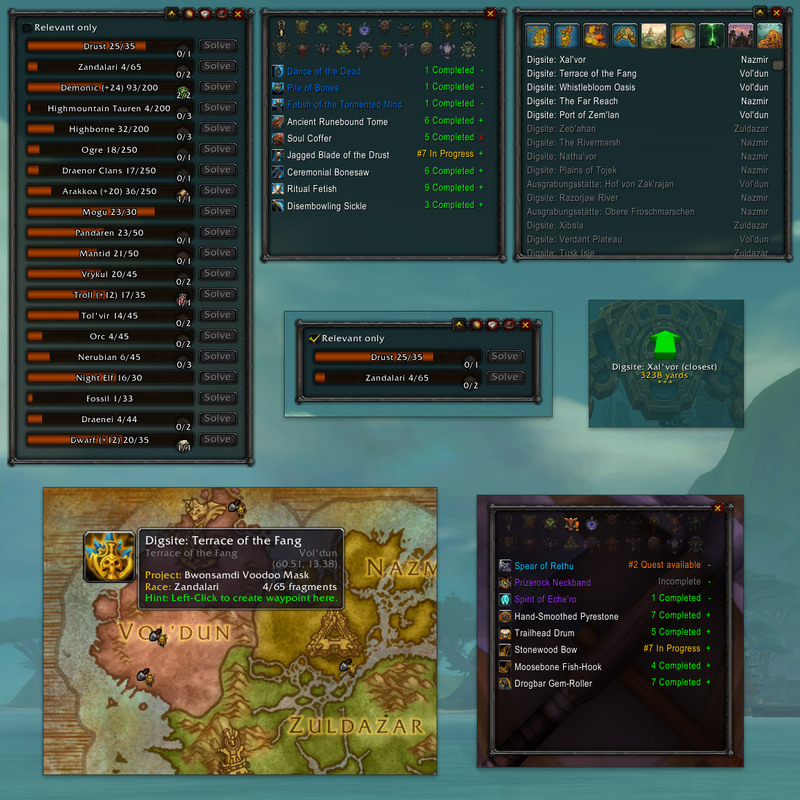 I wish it had the HUD of Archy or Archaeology Helper.